Posted on 02.2.15 by Steven. What a week! What a game! What a play to seal the deal for the Patriots. 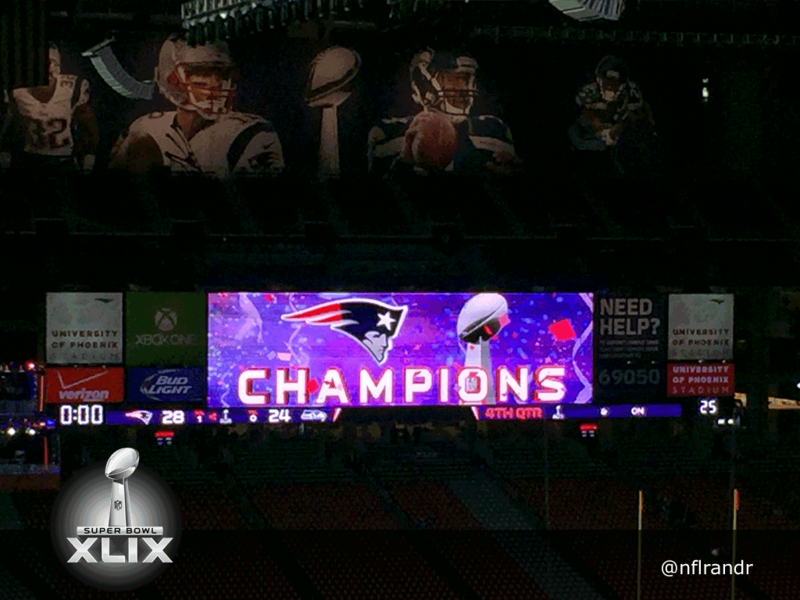 Below are some images and some quotes during the Super Bowl XLIX Post-Game press conferences. The Seattle Seahawks were left wondering, “What it?” While the New England Patriots were rather subdued with their victory. Last year’s Seattle Team was exuberant after the game and two years ago, the Ravens were screaming across the room at one another. The Patriots acted as if they calm and showed very little emotion. Except for one man. Head Coach Bill Belichick who grinned and smiled and seemed like he was finally having a good time. Congrats New England, your Patriots are Super Bowl Champions once again! Nice work with the camera Steven. Some tired looking kids in those photos. And probably some tired media on the bus home too! Thanks James. I had a great time at the game and you are right, all the kids look ready for bed!